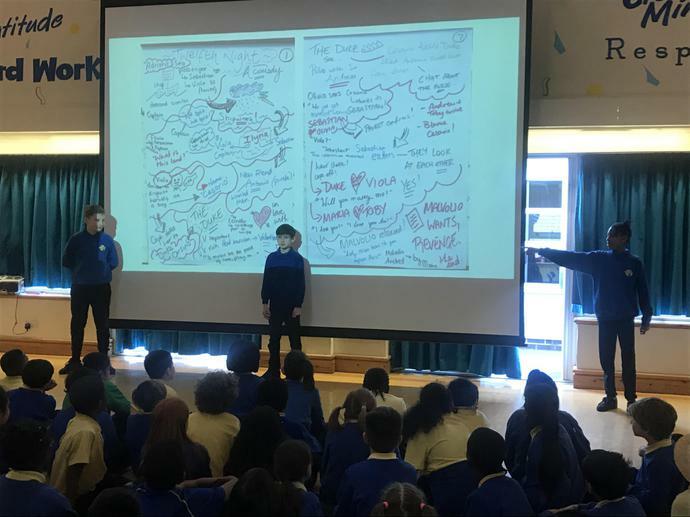 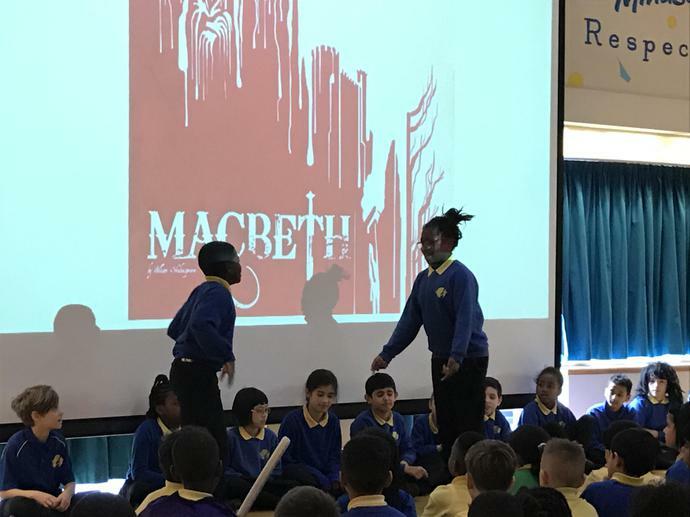 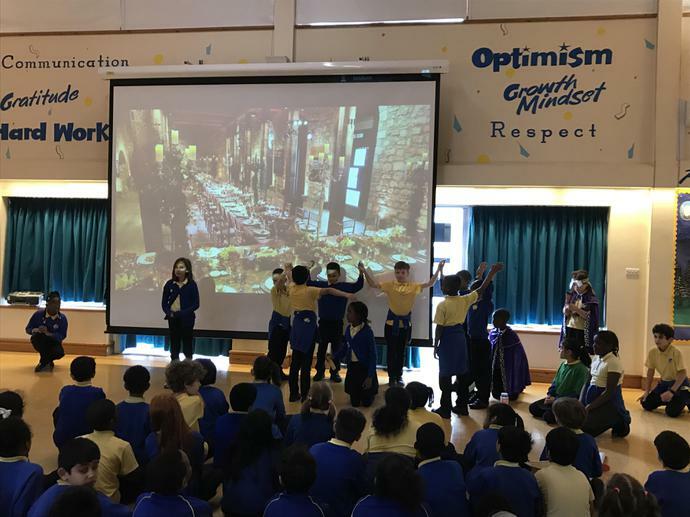 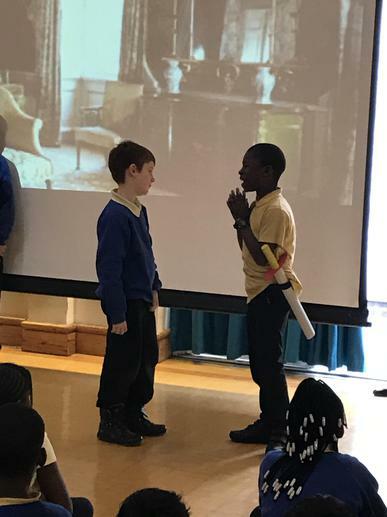 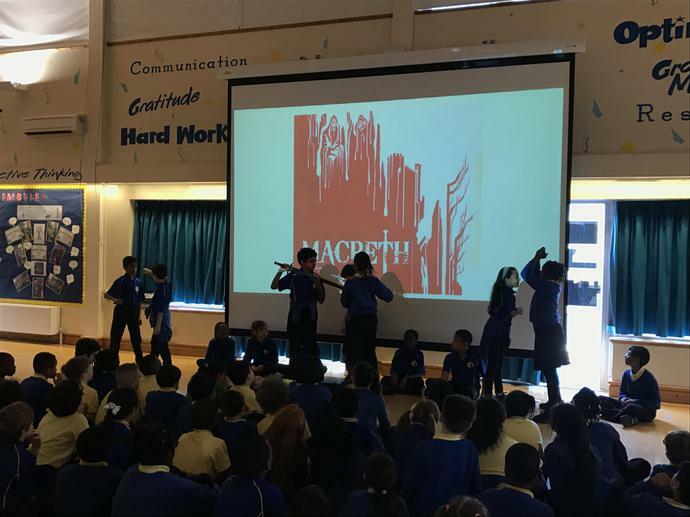 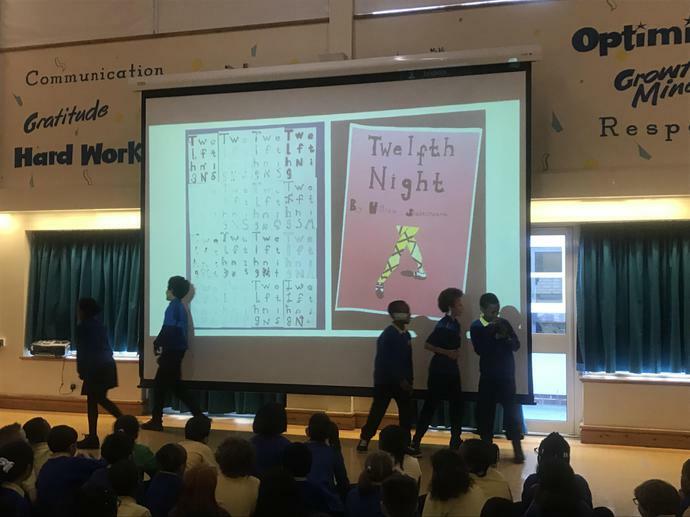 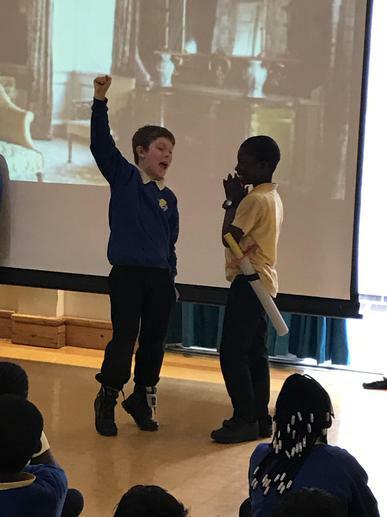 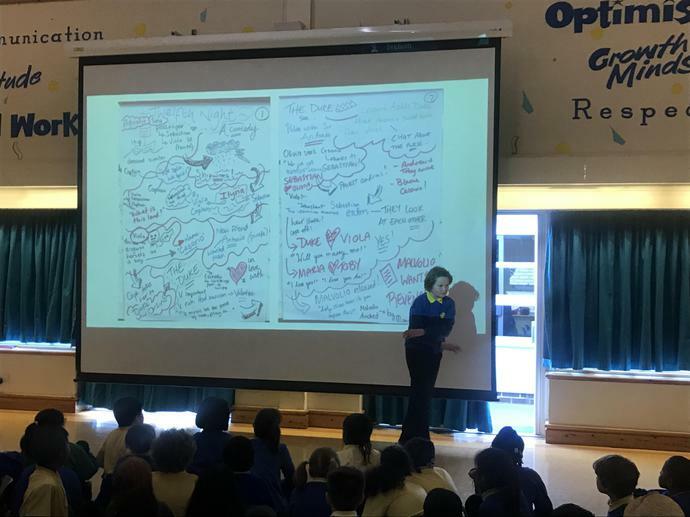 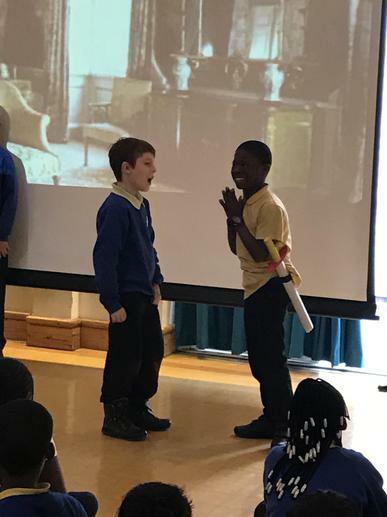 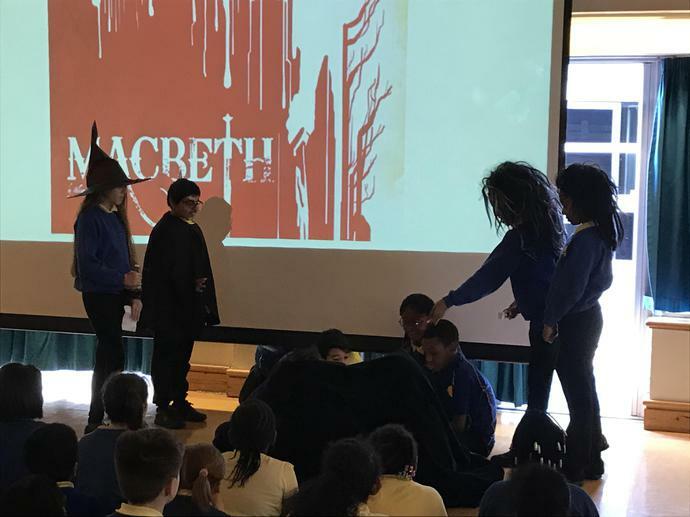 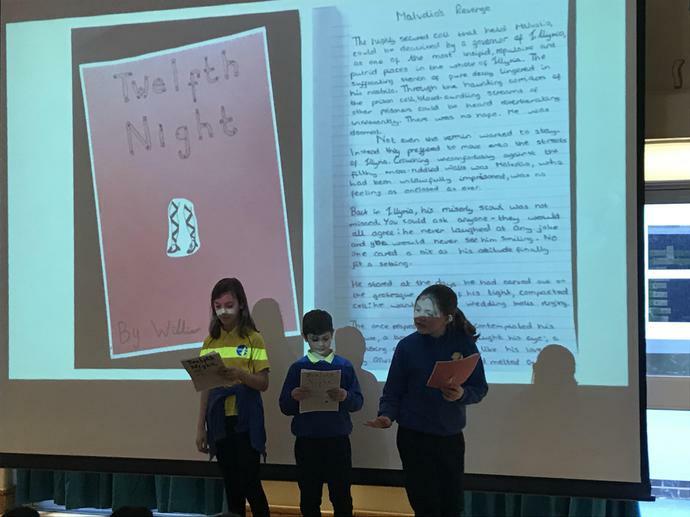 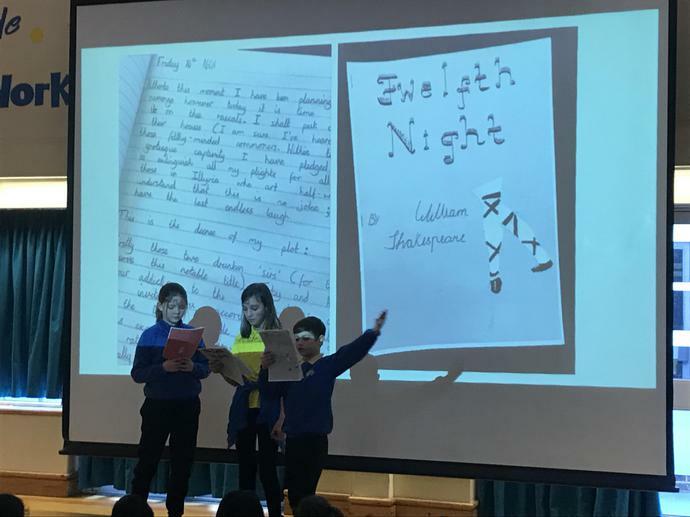 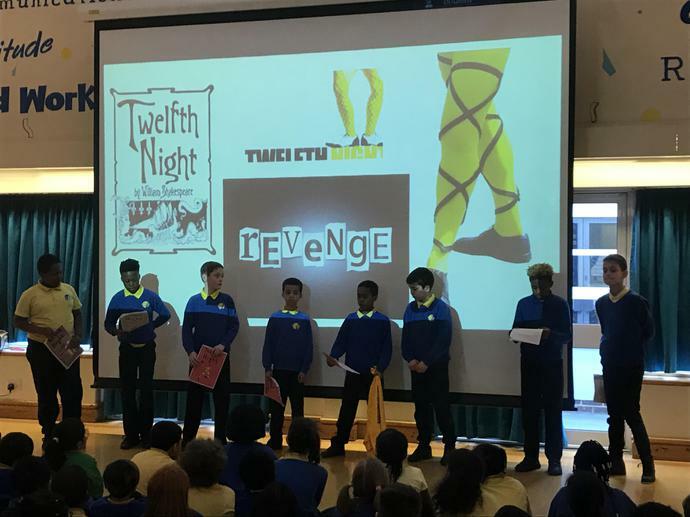 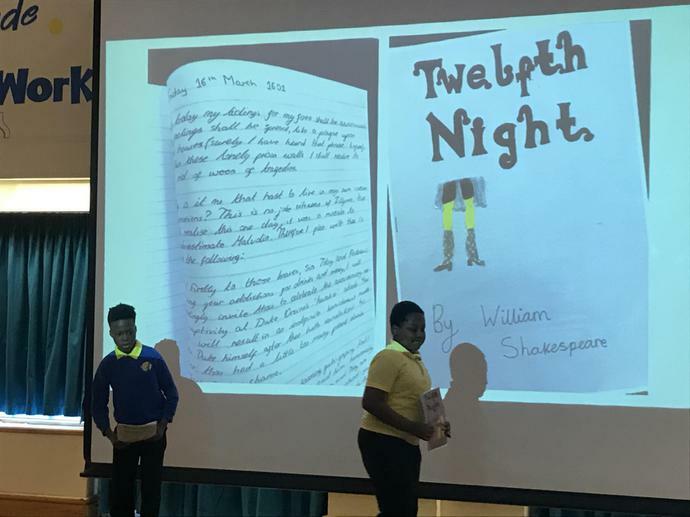 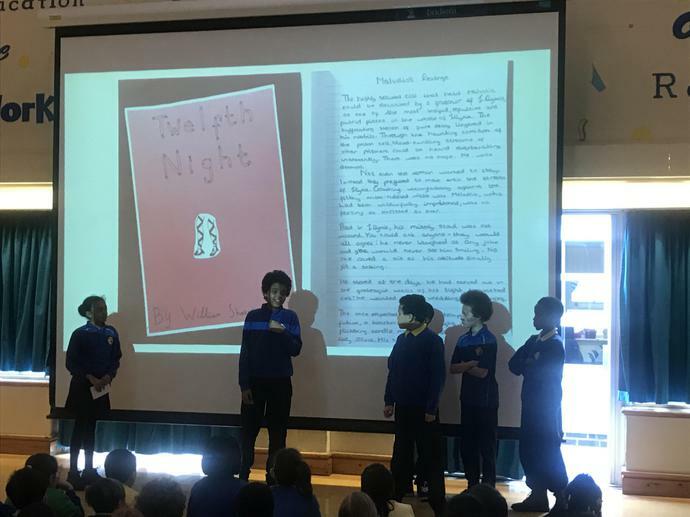 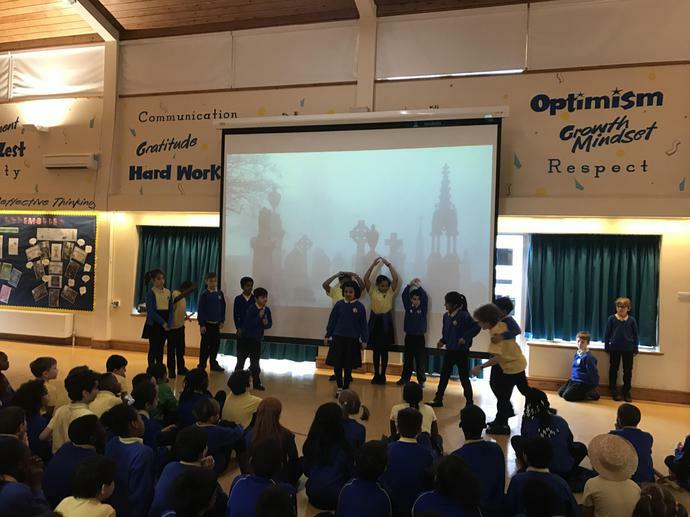 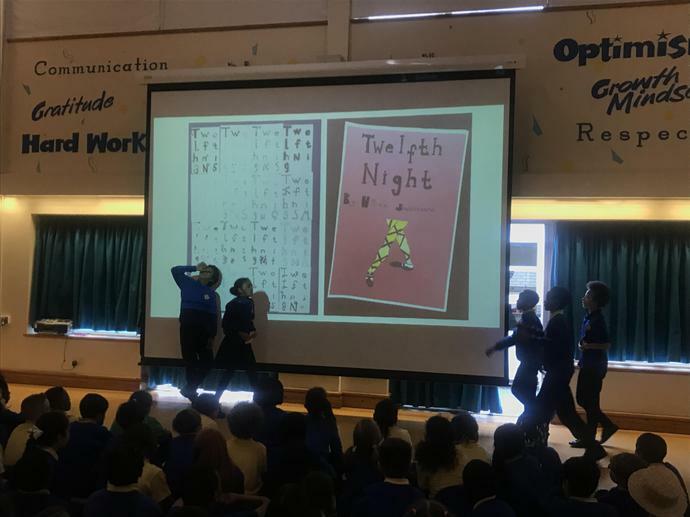 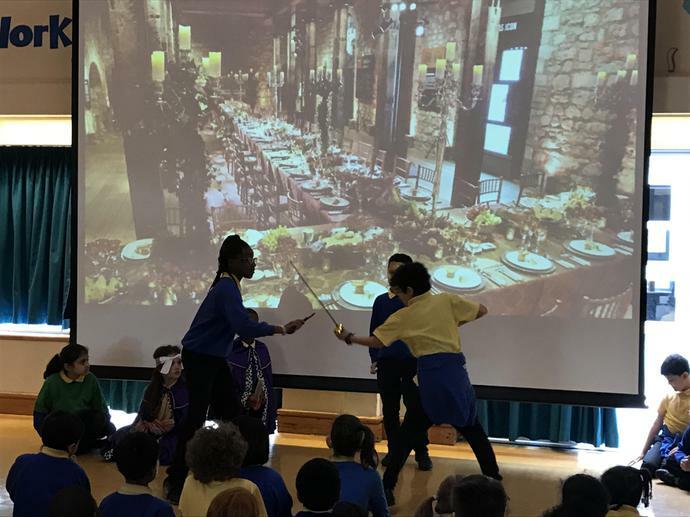 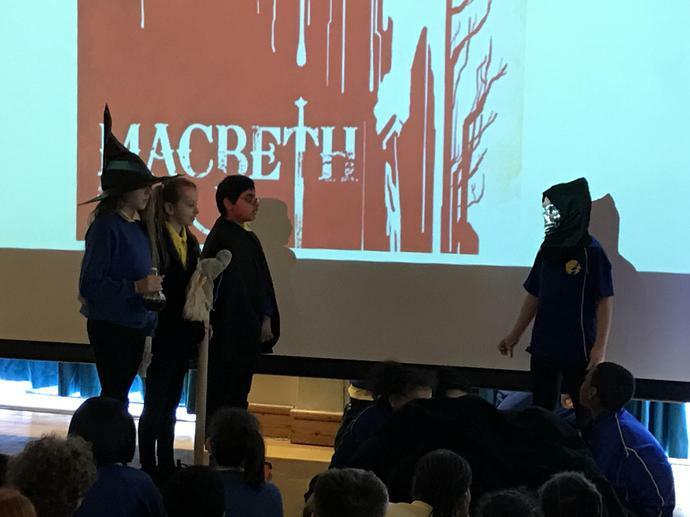 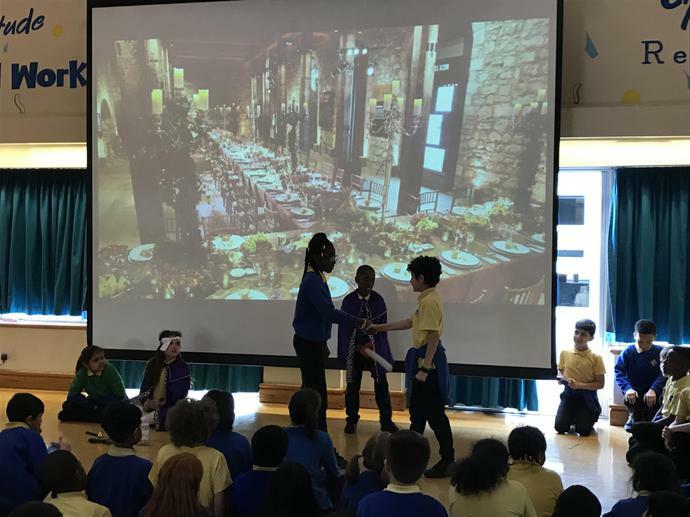 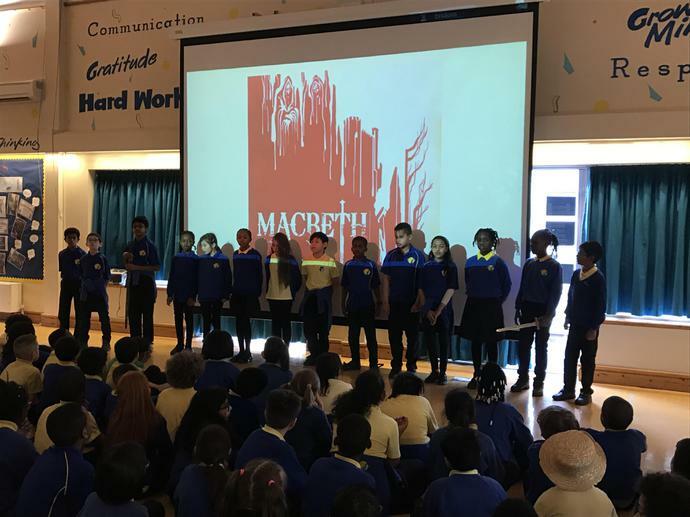 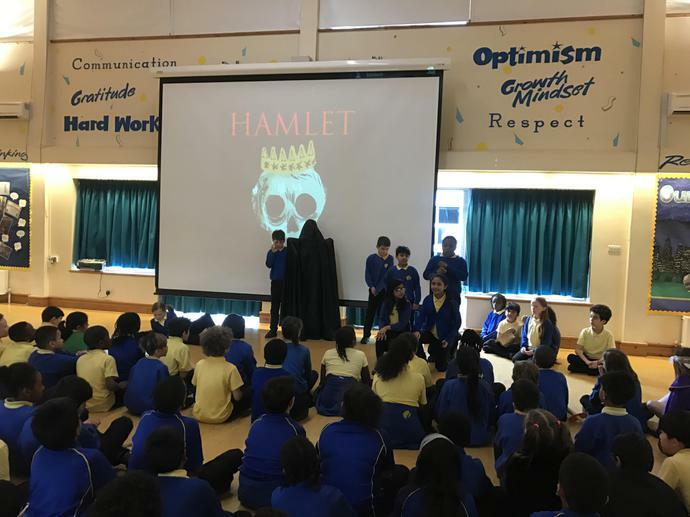 Last Friday saw our Shakespeare Showcase: celebrating all the wonderful work the children in EYFS, KS1 and KS2 have created since the start of our 'All the World's a Stage' Theme. 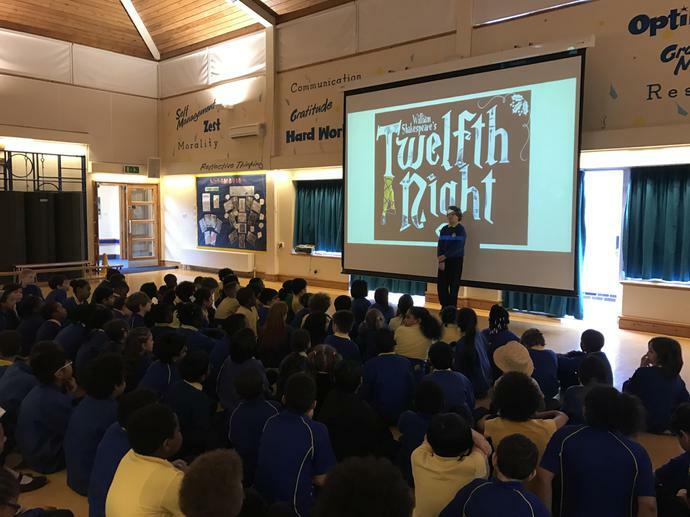 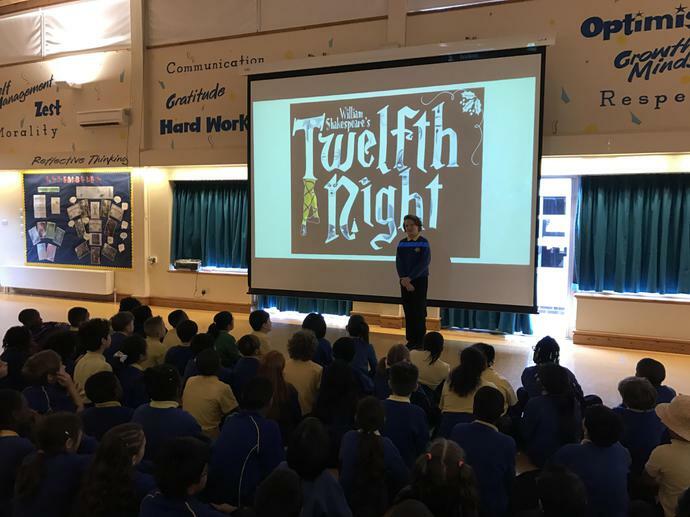 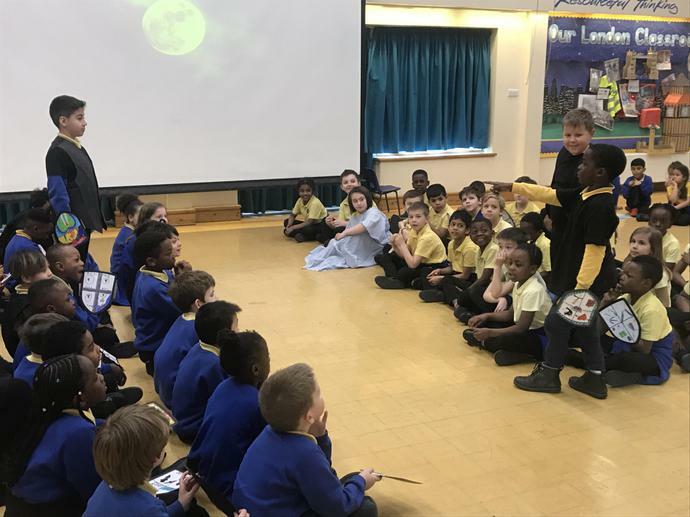 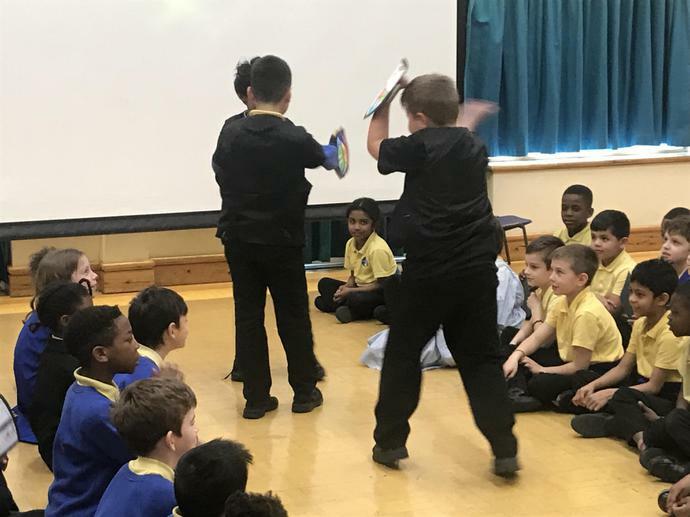 Year groups were lucky to experience a Shakespeare workshop by professional actors involved with Shakespeare 4 Kidz (S4K) and Early Years and Year 1 took part in their own puppet workshop. 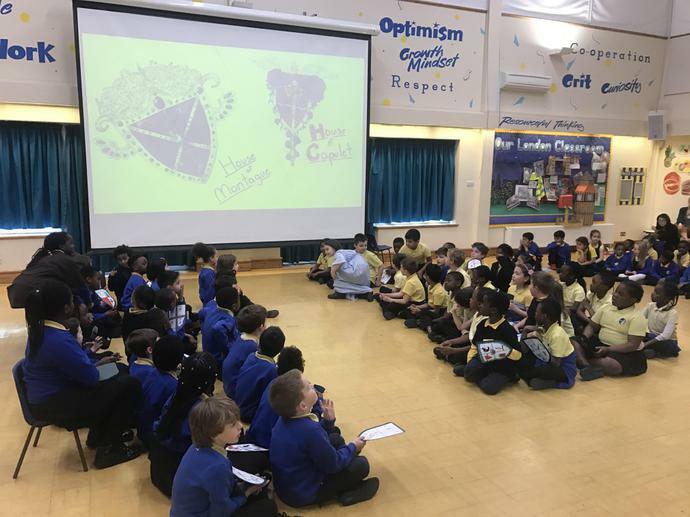 Take a look at individual year group pages for more information. 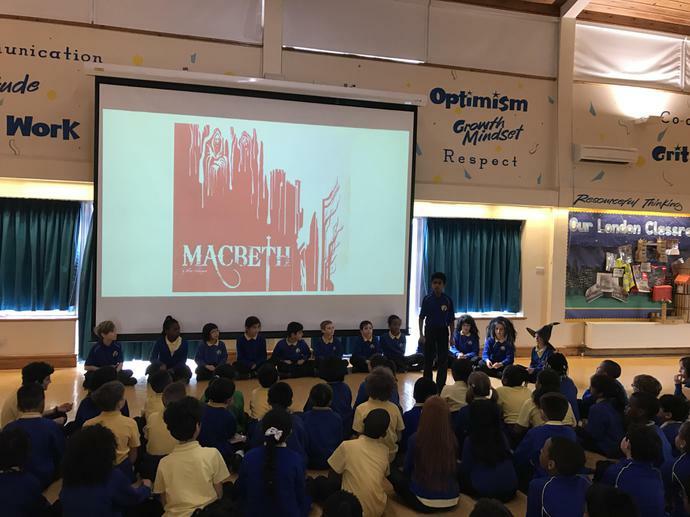 I know a lot of parent were hoping to attend, we will discuss to see how this could happen next year but as you can appreciate space in the hall is tight with so many enthusiastic actors! 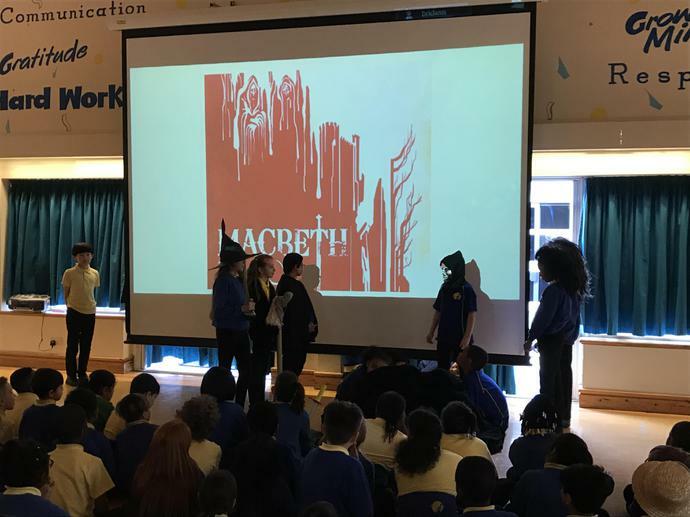 For now please visit our video section to see the performances.